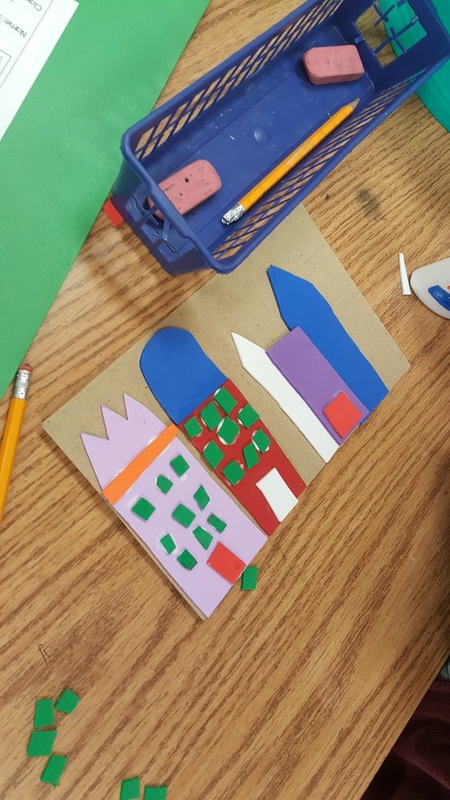 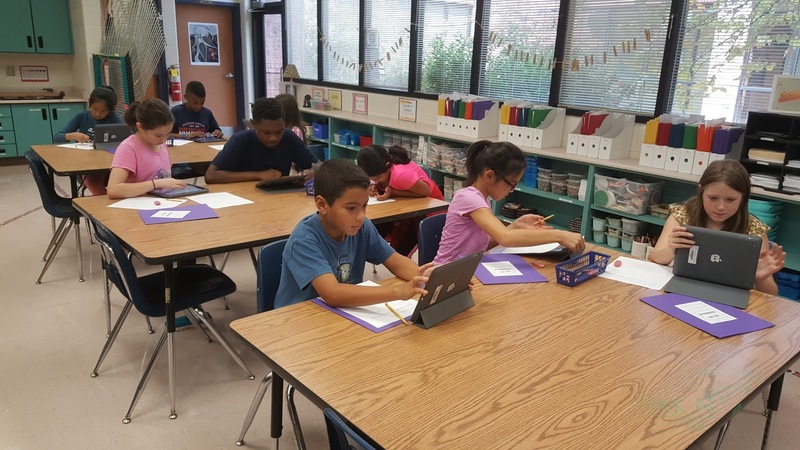 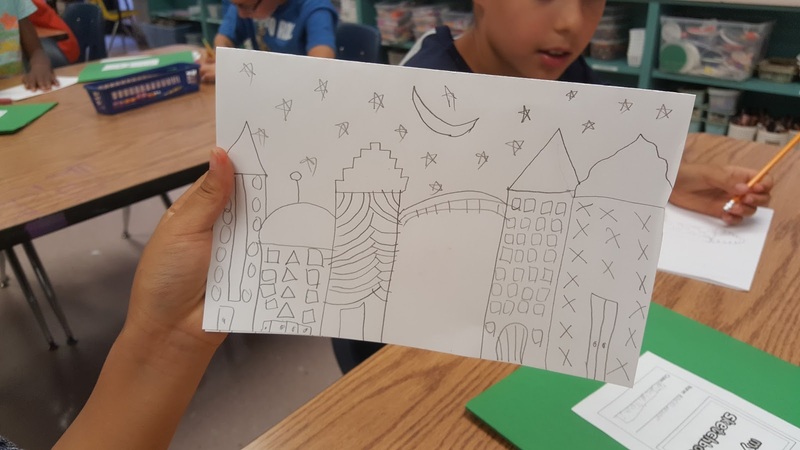 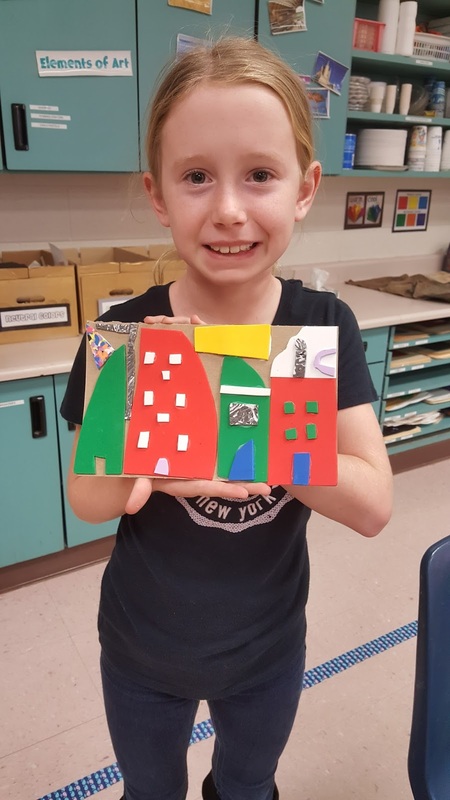 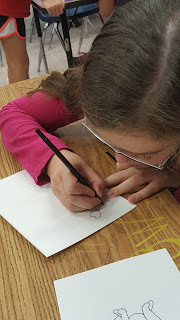 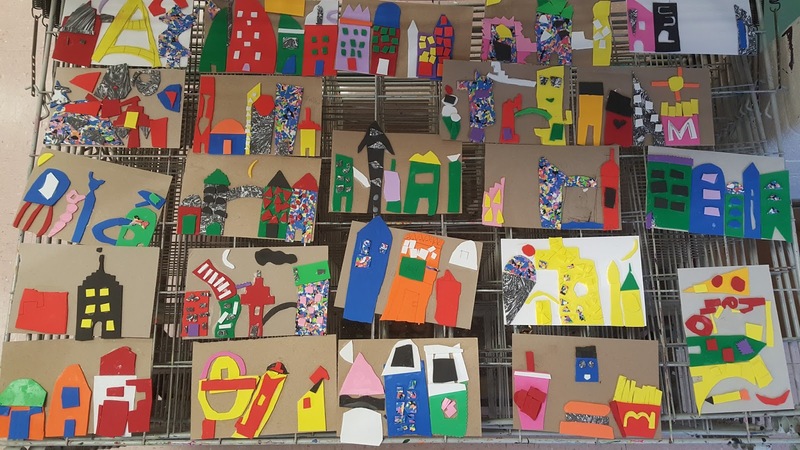 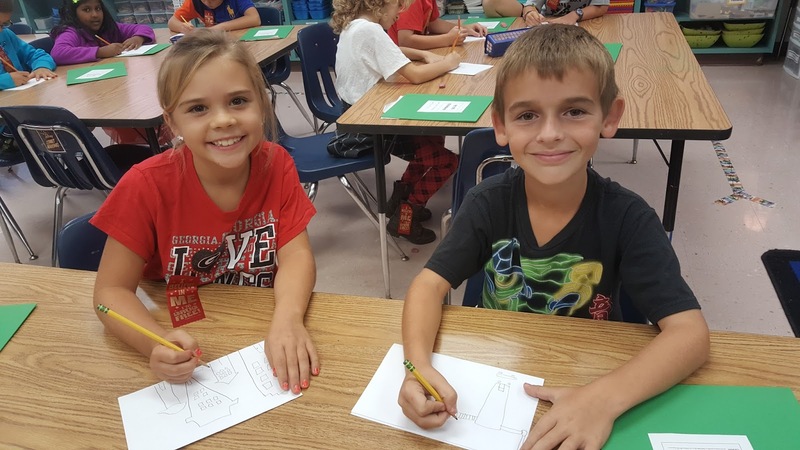 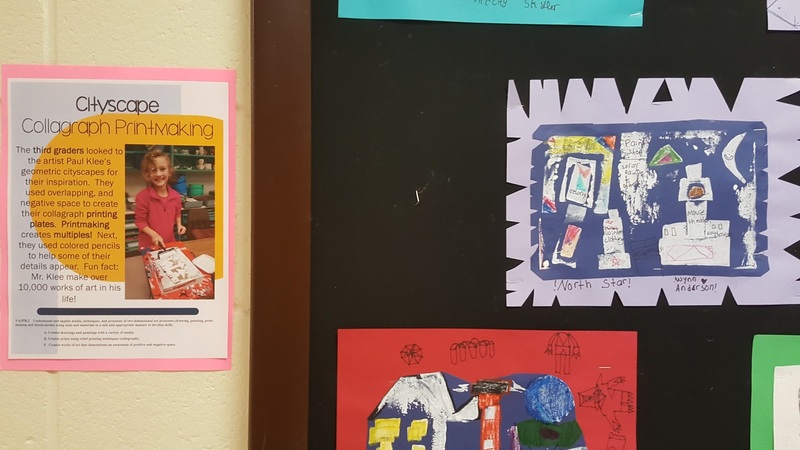 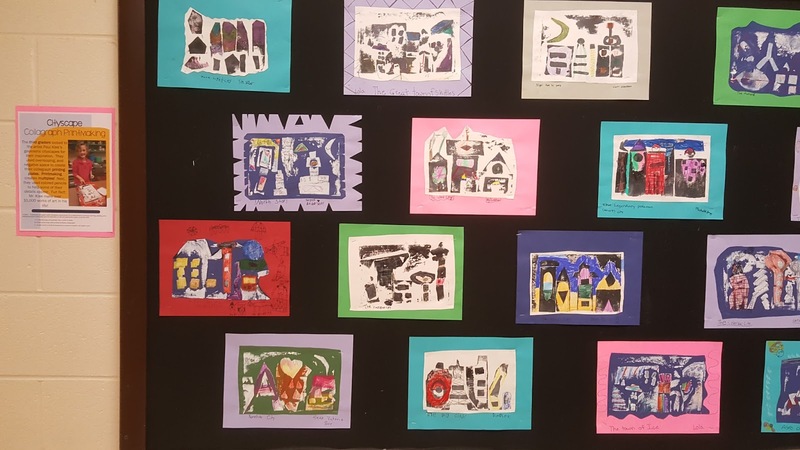 The third graders started this lesson by looking at the cityscape artwork of Paul Klee. 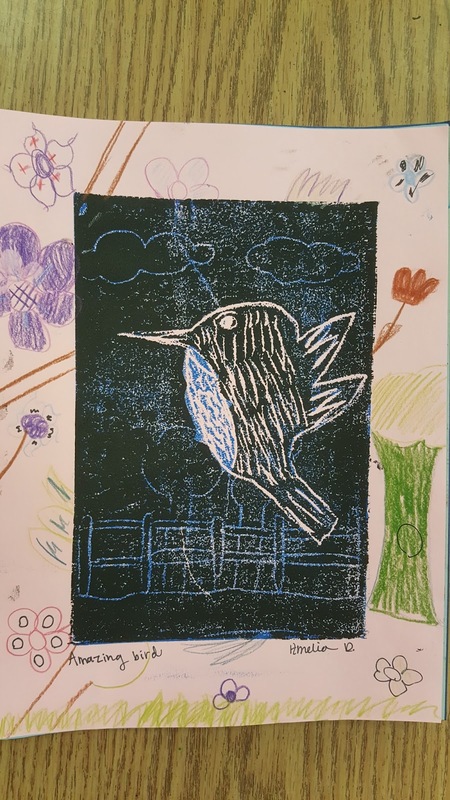 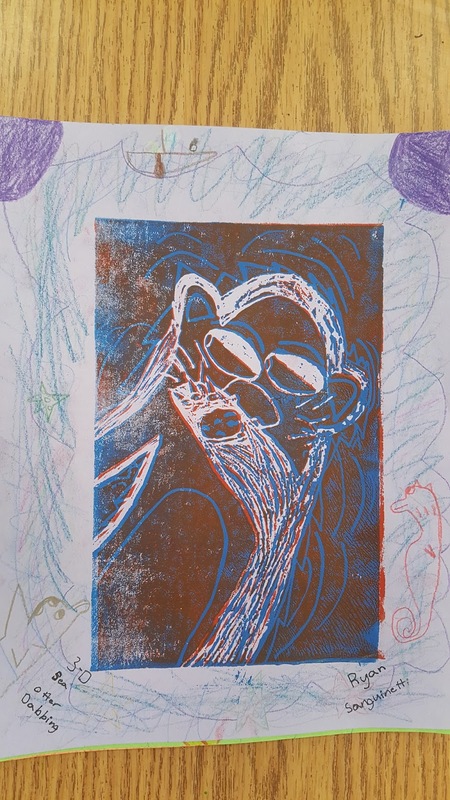 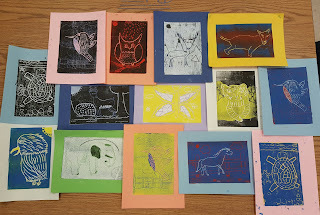 We discussed printmaking and made connections to the printmaking lesson we did last year. 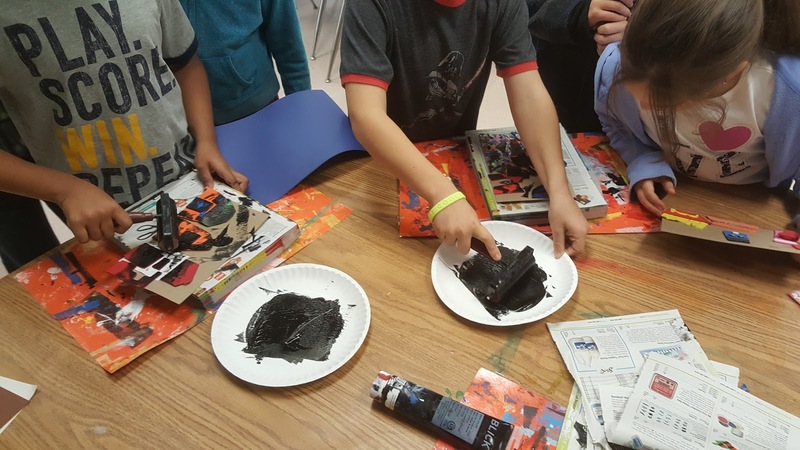 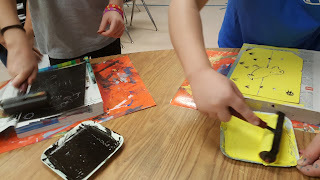 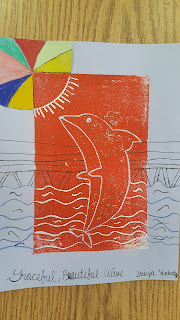 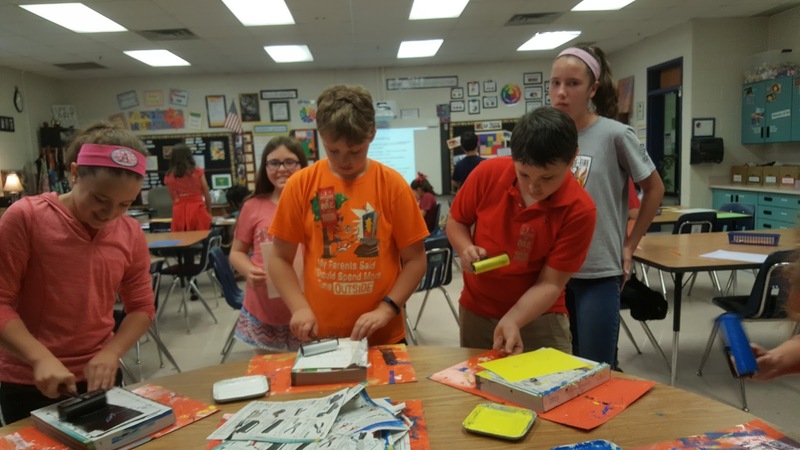 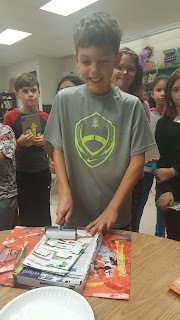 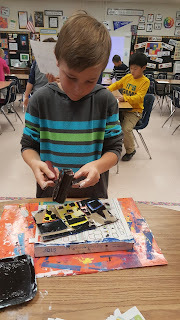 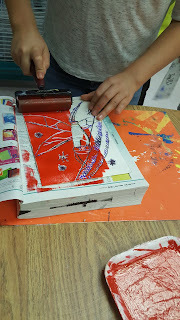 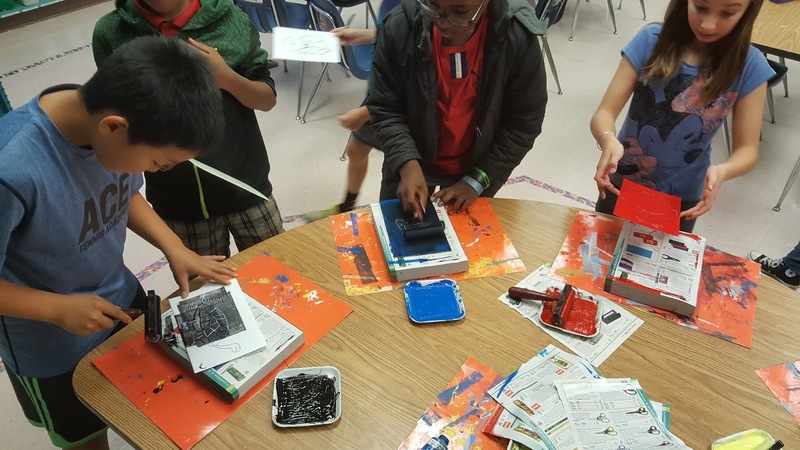 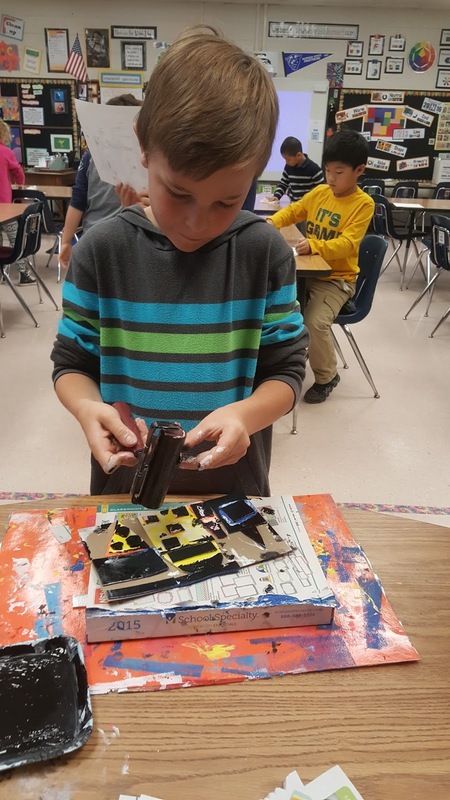 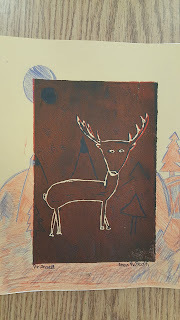 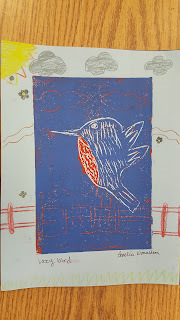 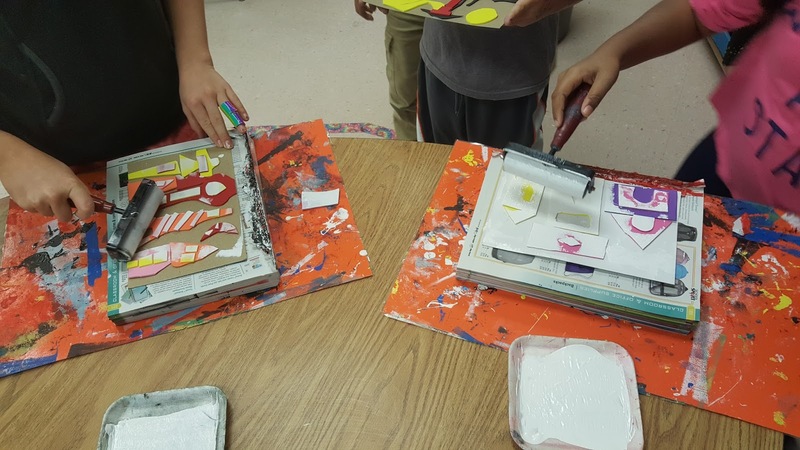 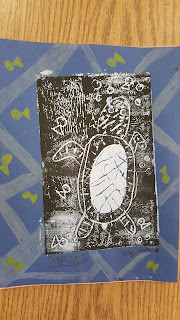 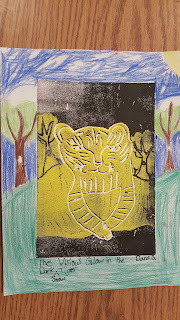 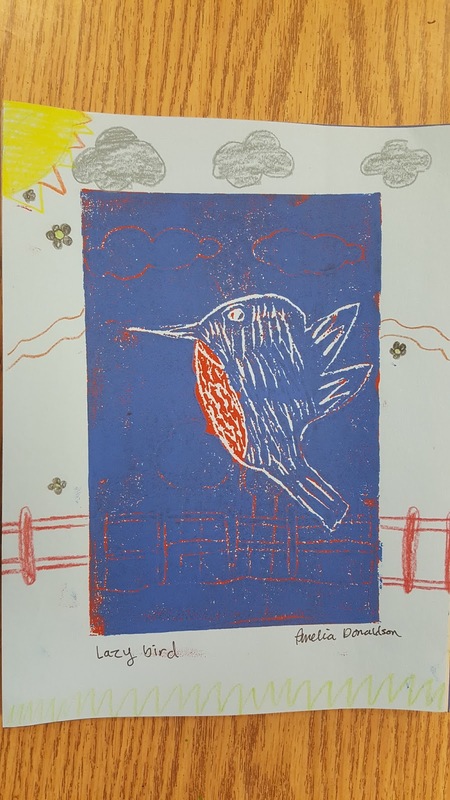 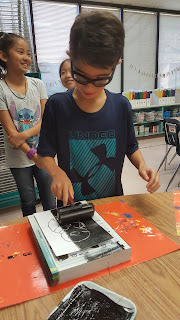 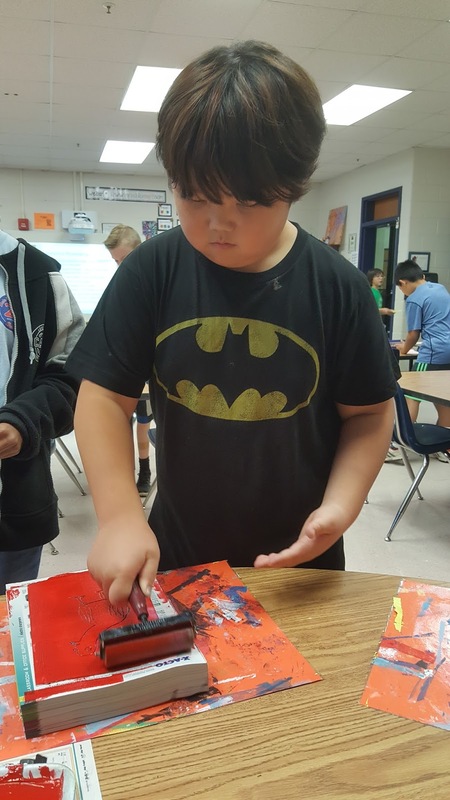 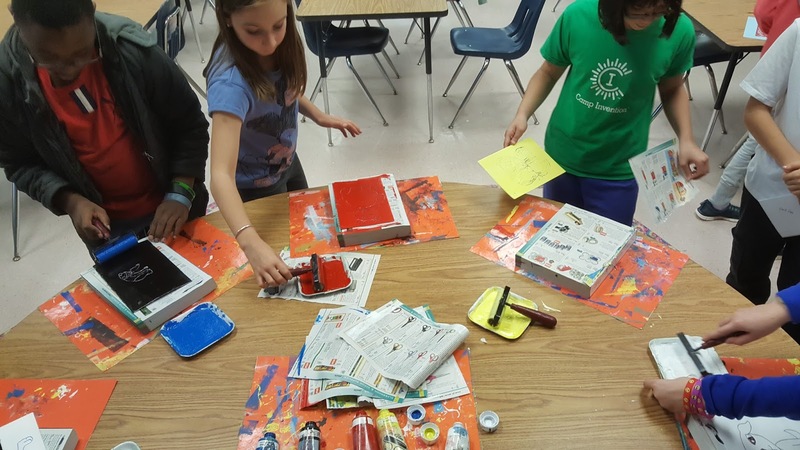 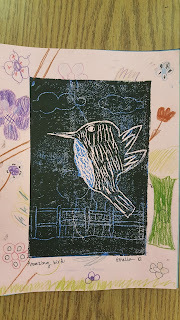 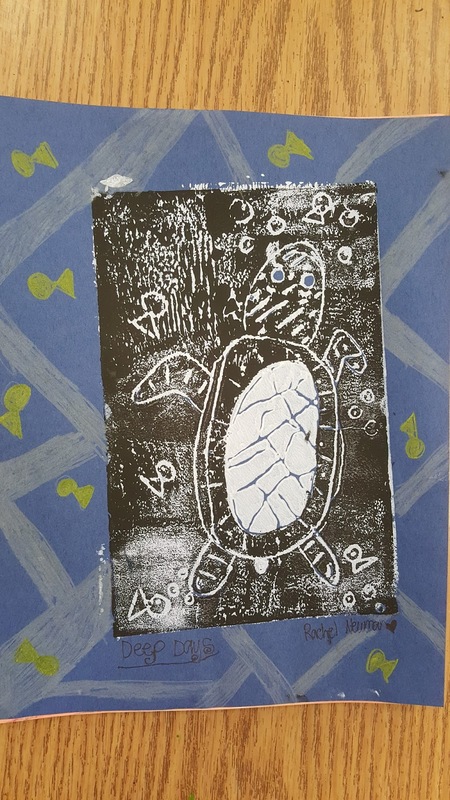 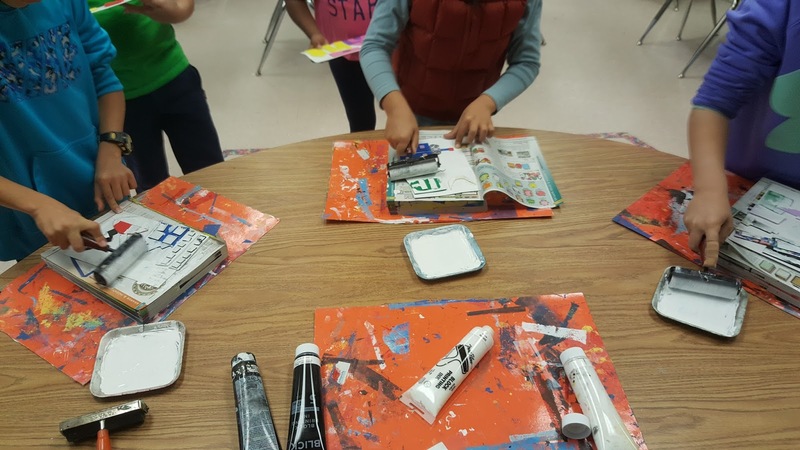 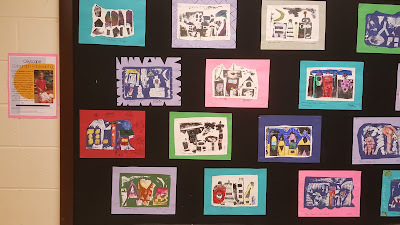 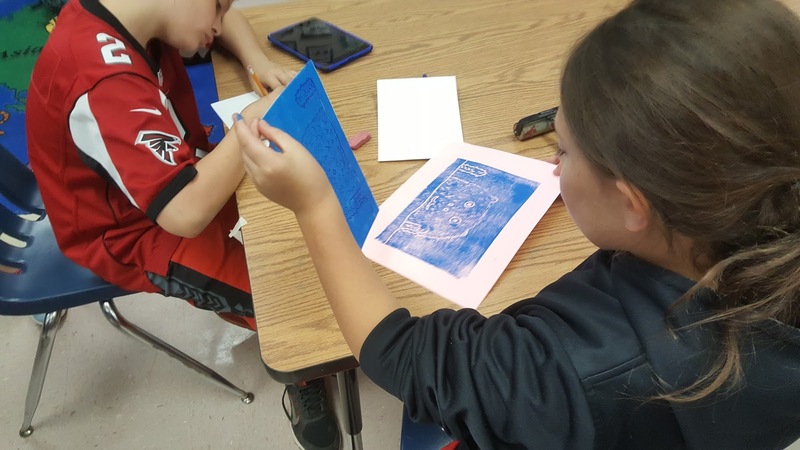 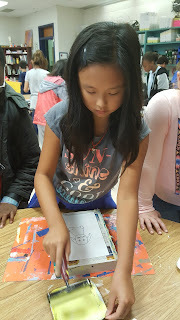 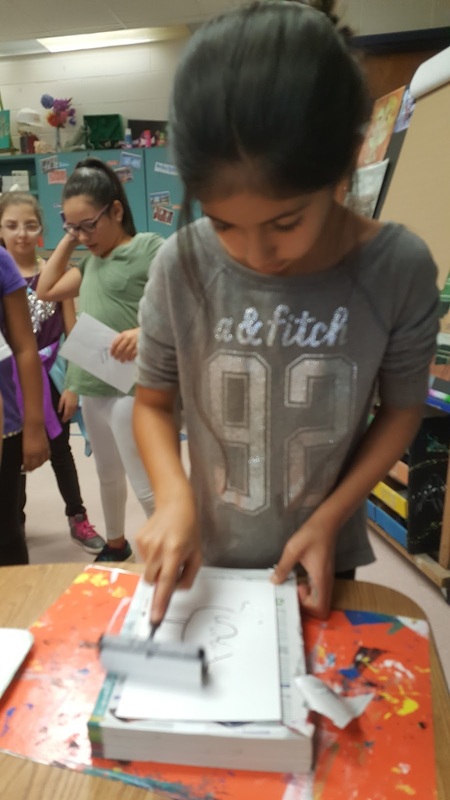 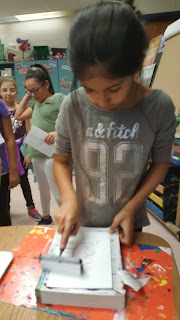 Third graders created the collagraphs using foam and tag board. 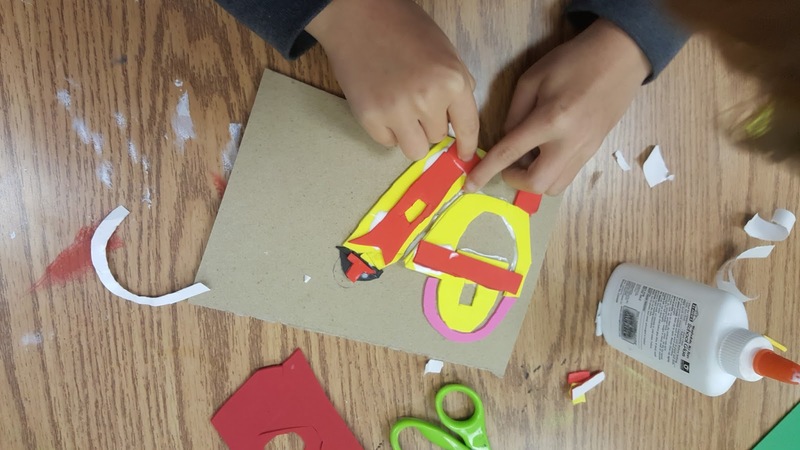 We used lots of fun shapes and negative space.We embellished them with colored pencils and construction paper crayons. 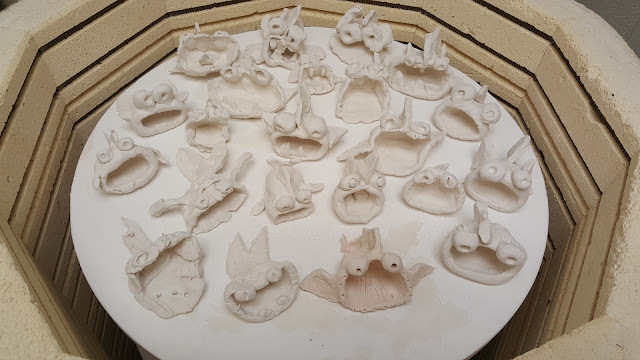 I love the fun titles! 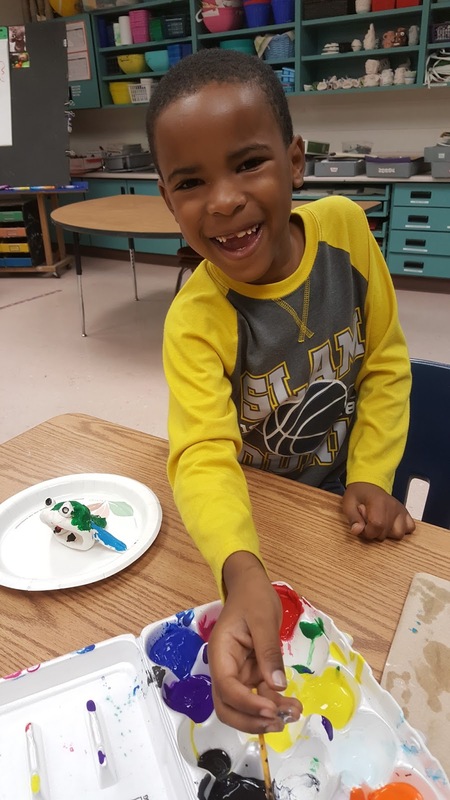 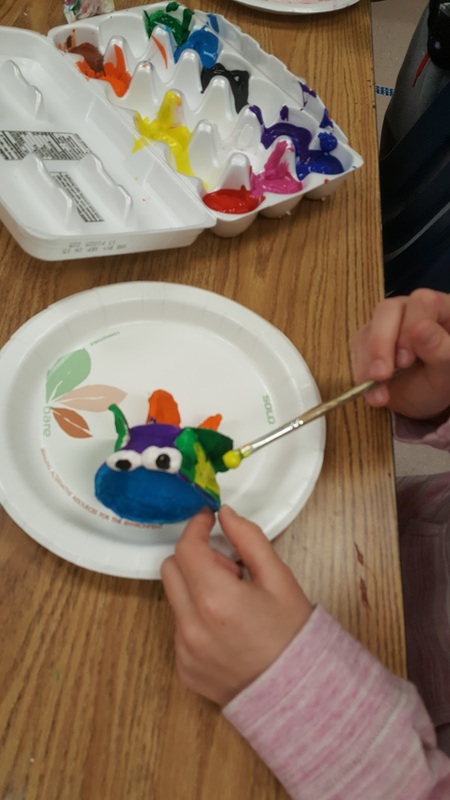 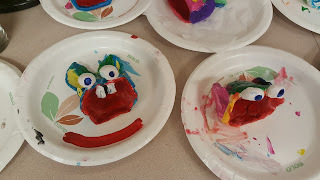 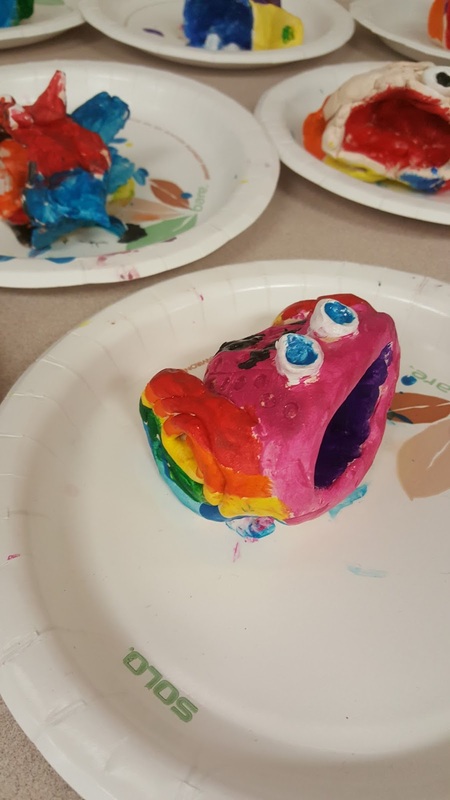 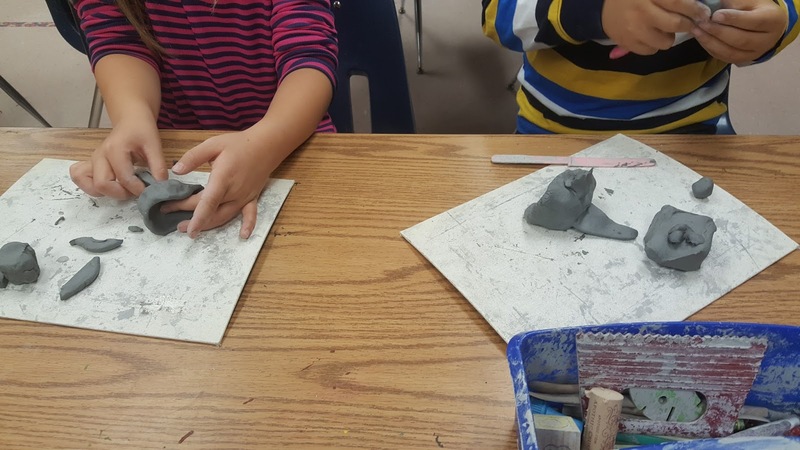 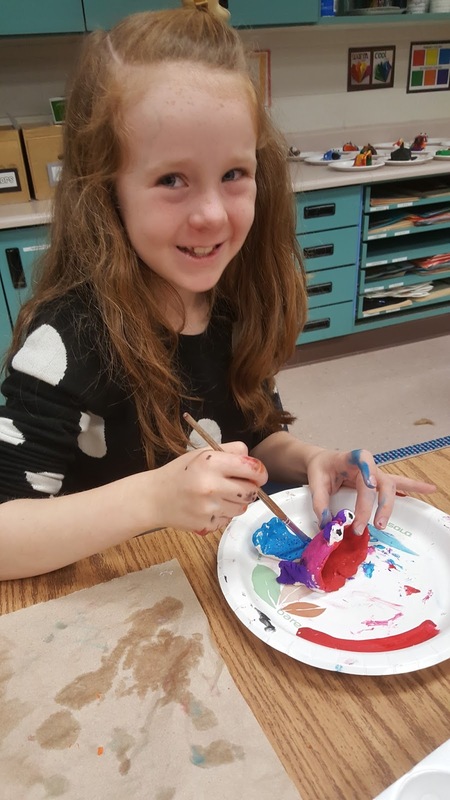 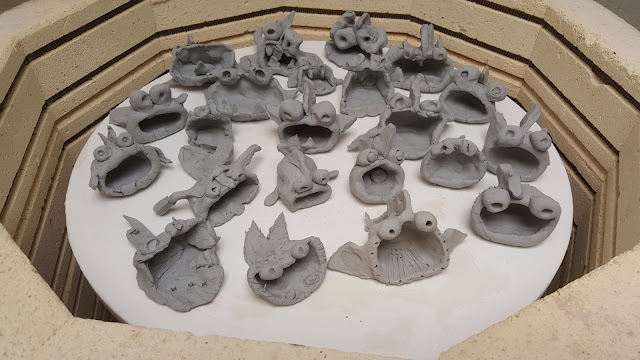 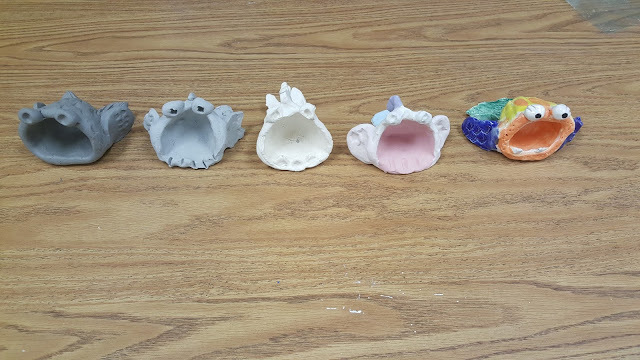 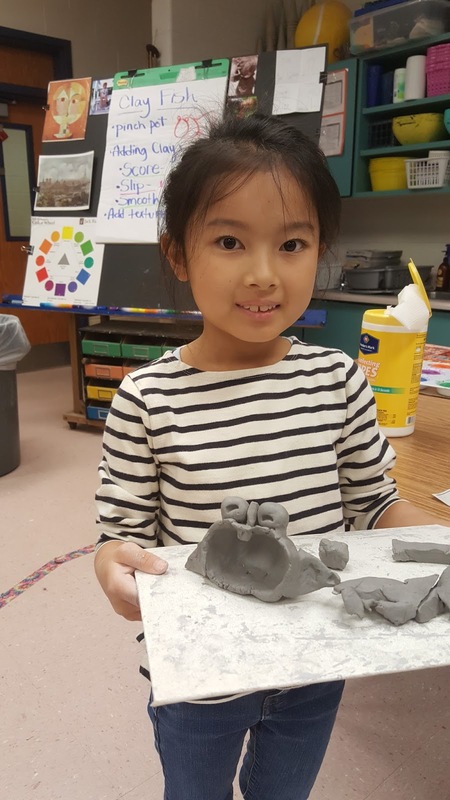 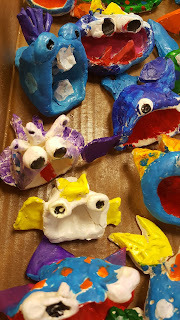 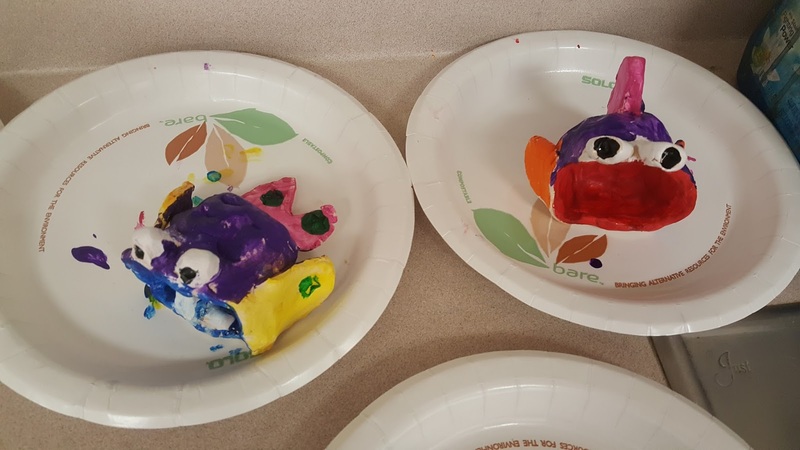 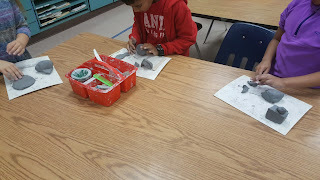 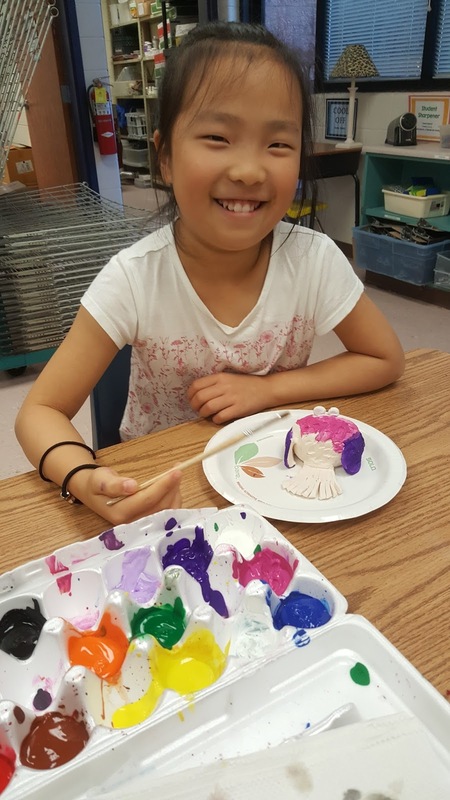 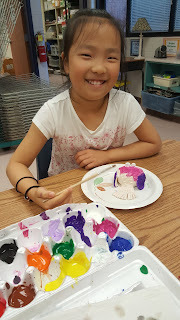 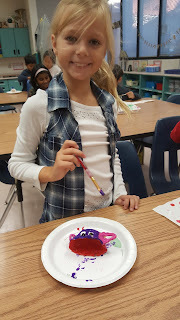 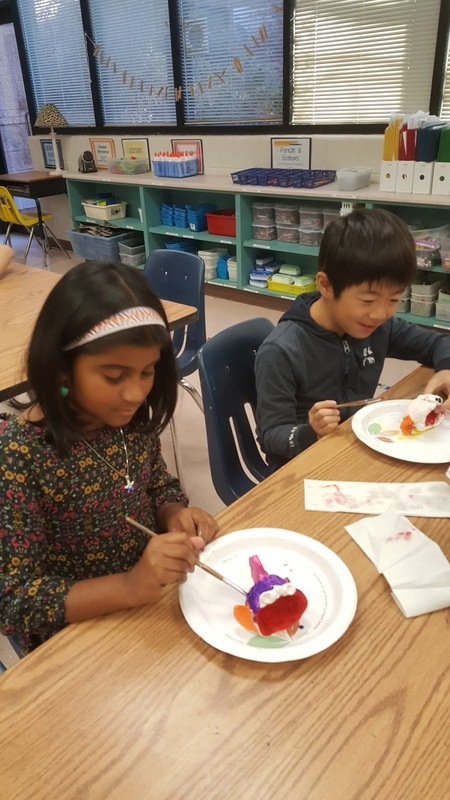 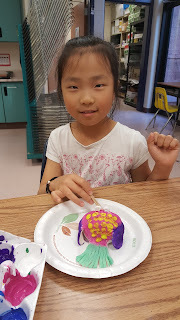 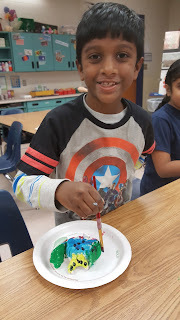 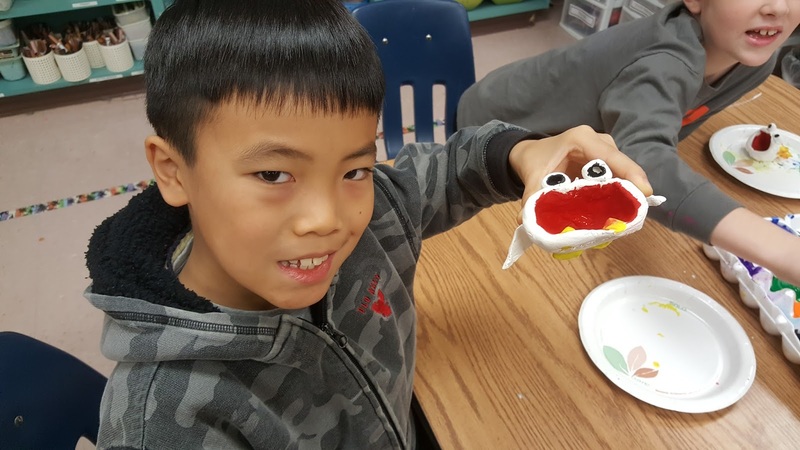 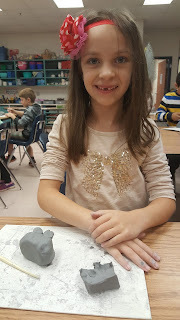 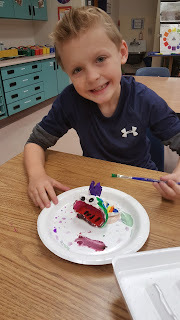 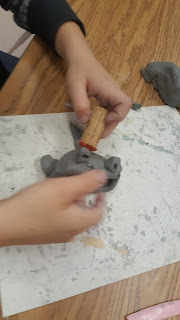 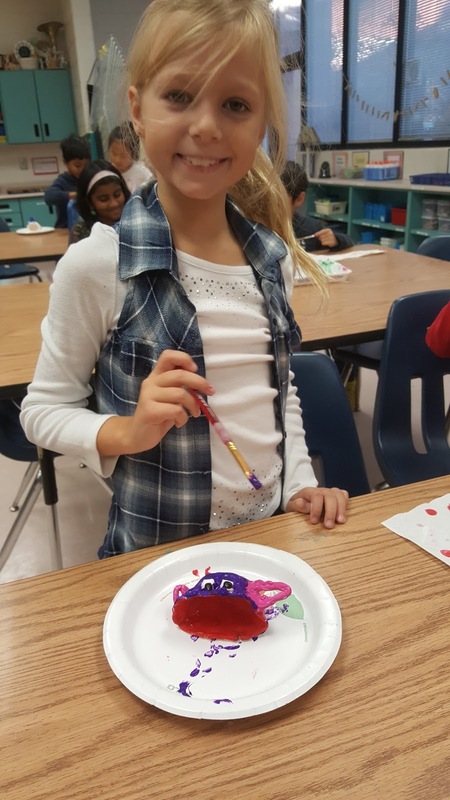 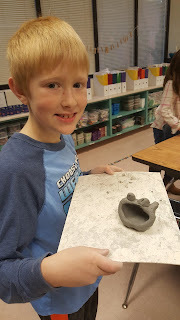 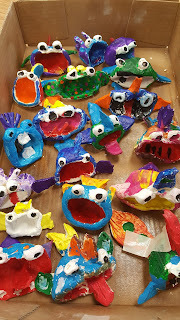 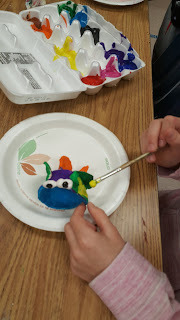 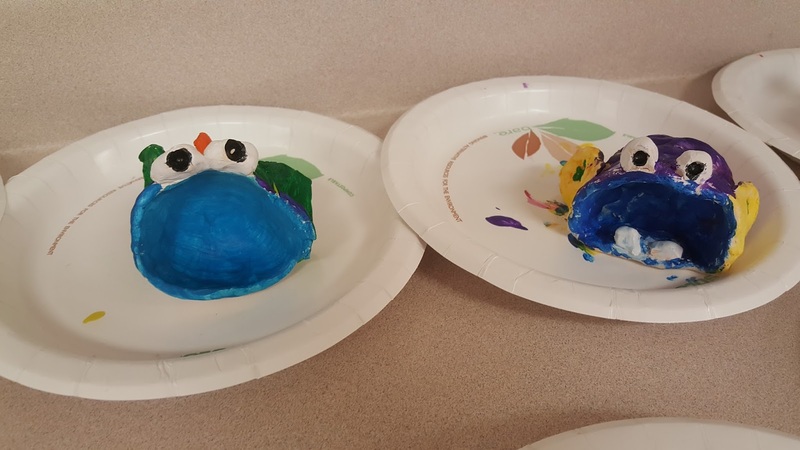 Our second graders used their knowledge of making a pinch pot to then score, slip, and smooth on fins, tails, eyes, teeth...you name it! This year, we painted them so we could have more details. 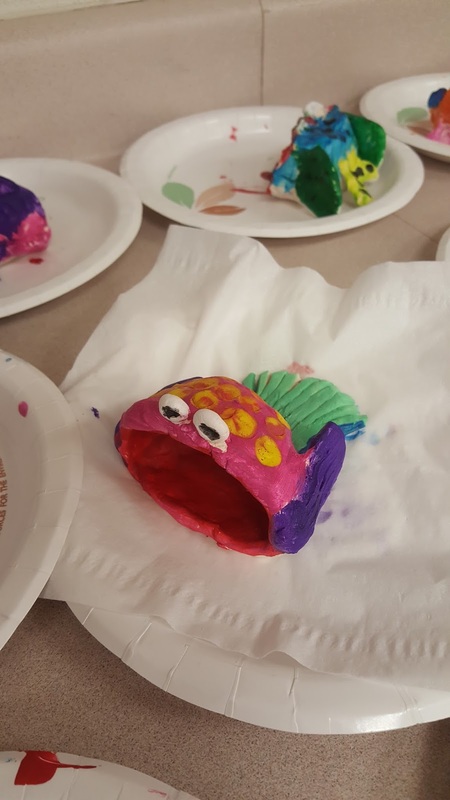 As always, we listened to the Pout Pout fish and laughed at the SMOOCH! 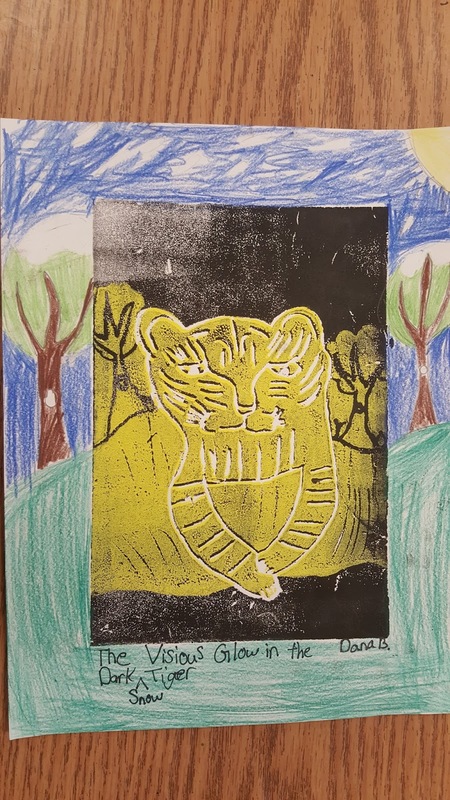 Great job, second graders! 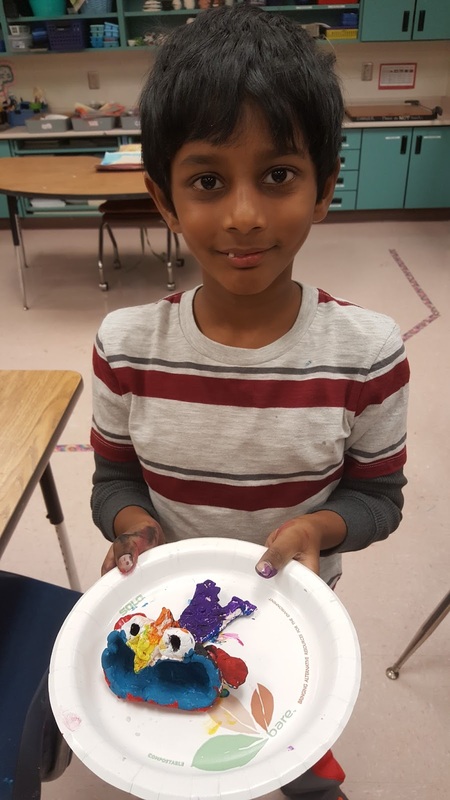 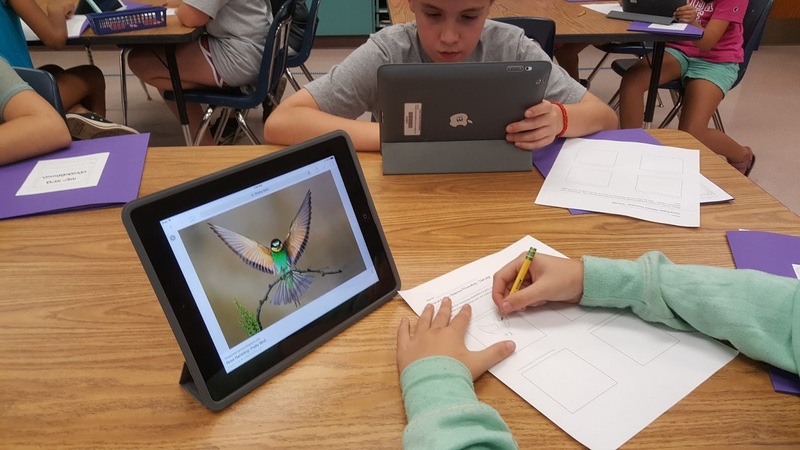 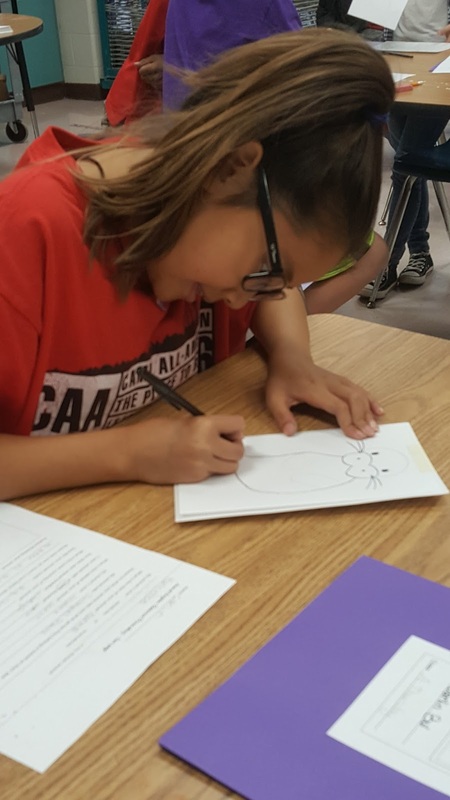 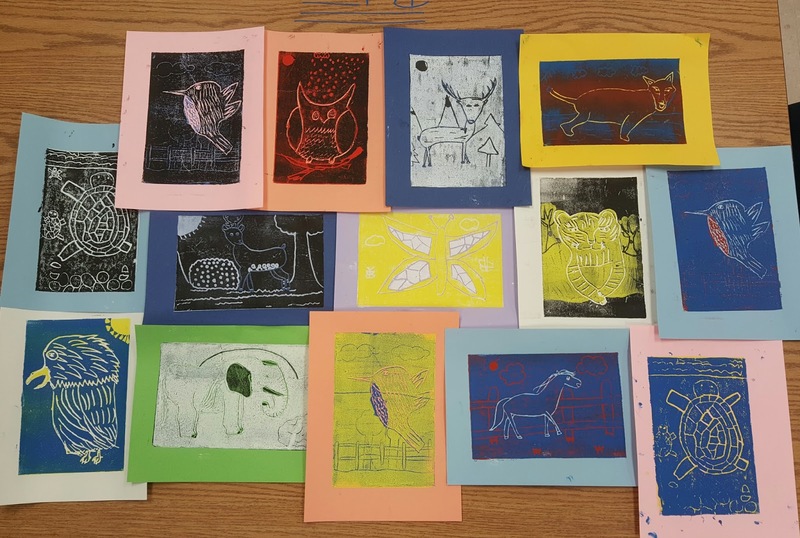 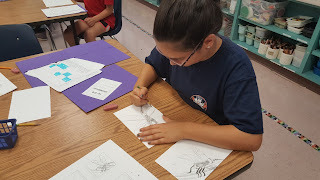 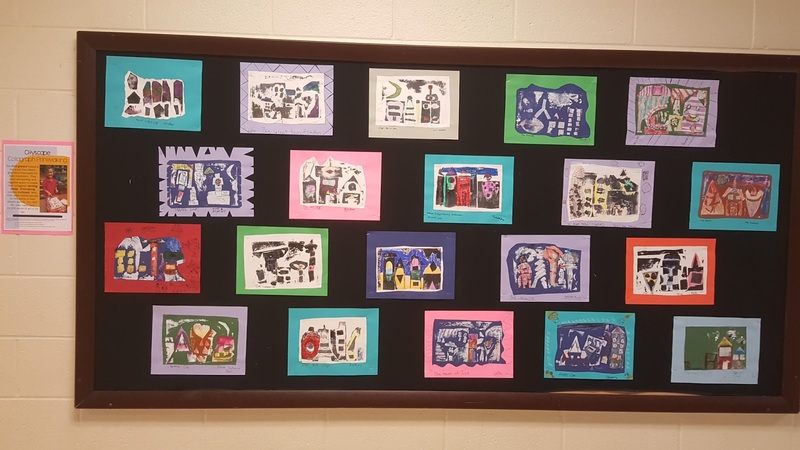 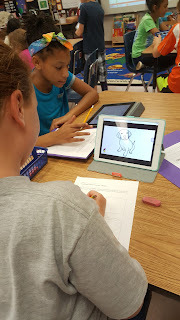 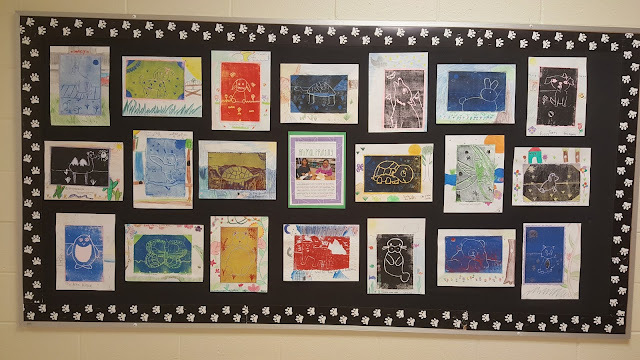 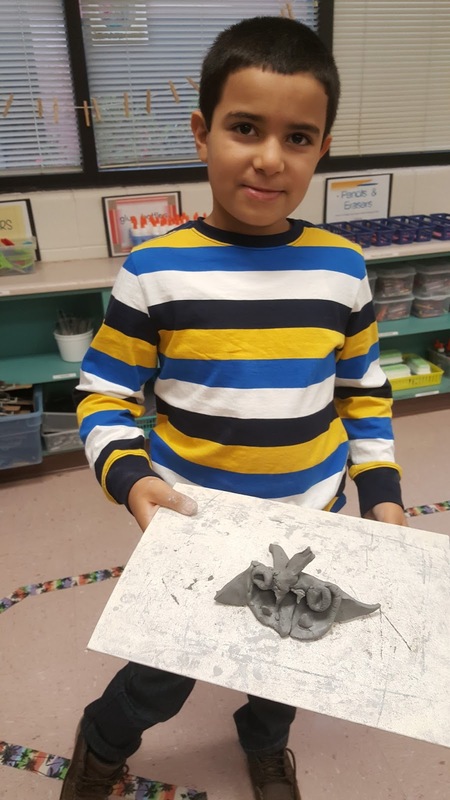 The 5th grade students used and enhanced their knowledge of animal classifications to create a work of art. 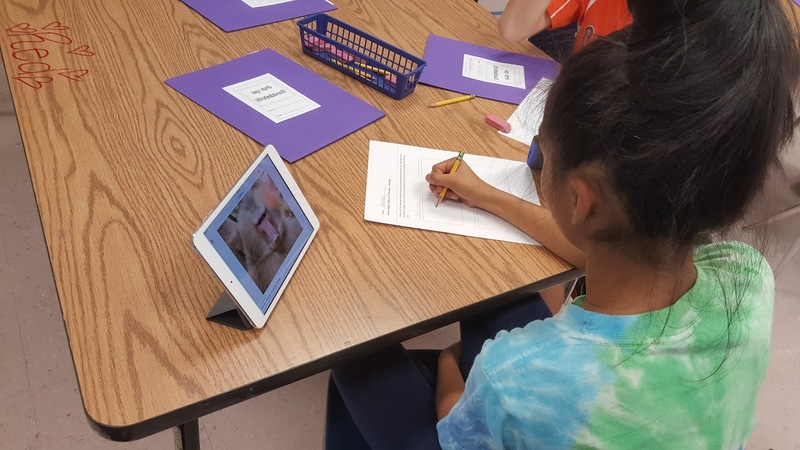 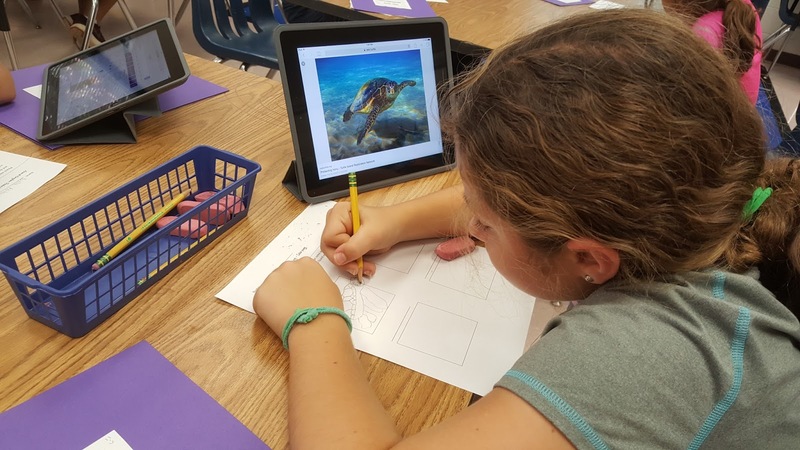 The first part of the lesson was to choose any animal and research all about it. 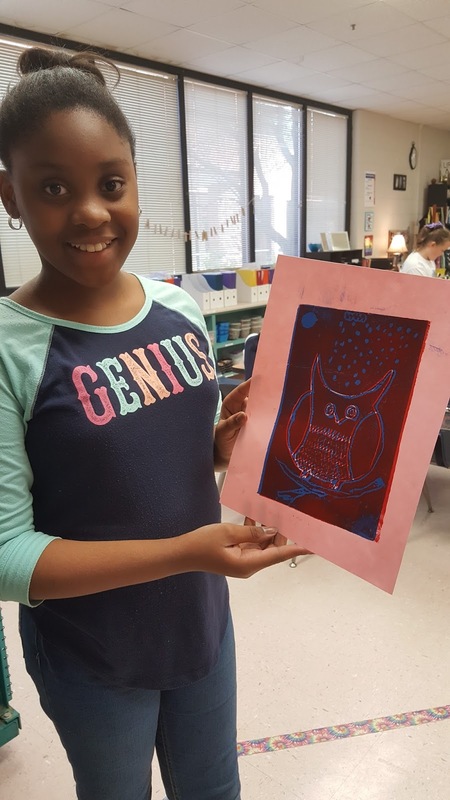 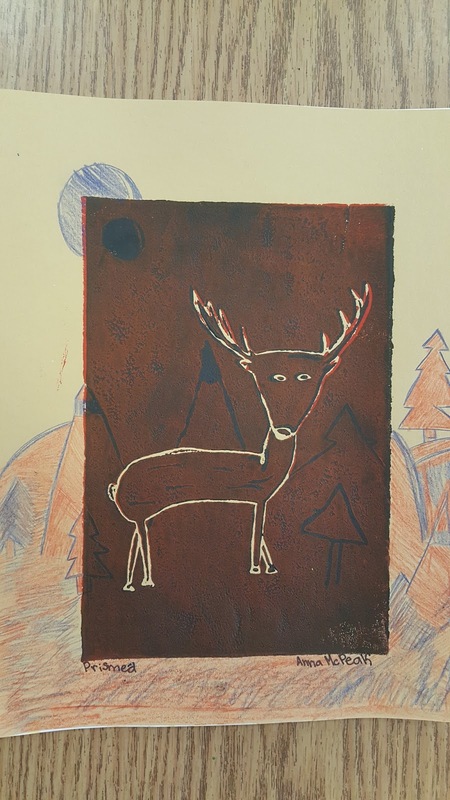 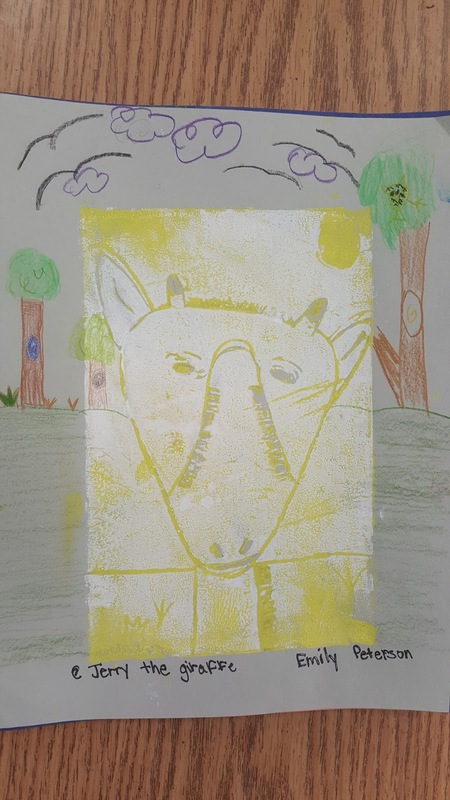 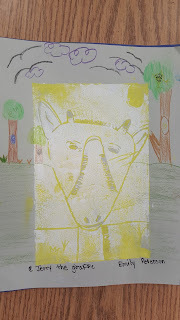 Next, they created an image of their animal on their printing plate. After making their first set of prints, the students reduced the printing plate (reduce means to take away, similar to math). 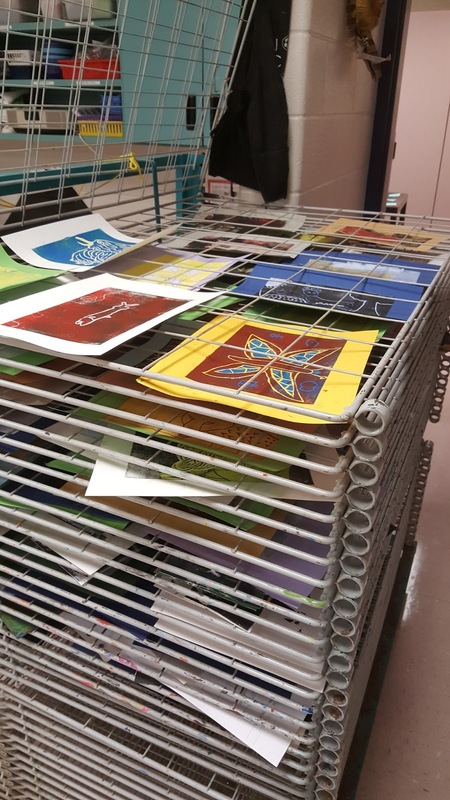 Next, they printed on top of the first print to create a fabulous looking reductive print. 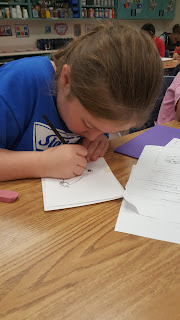 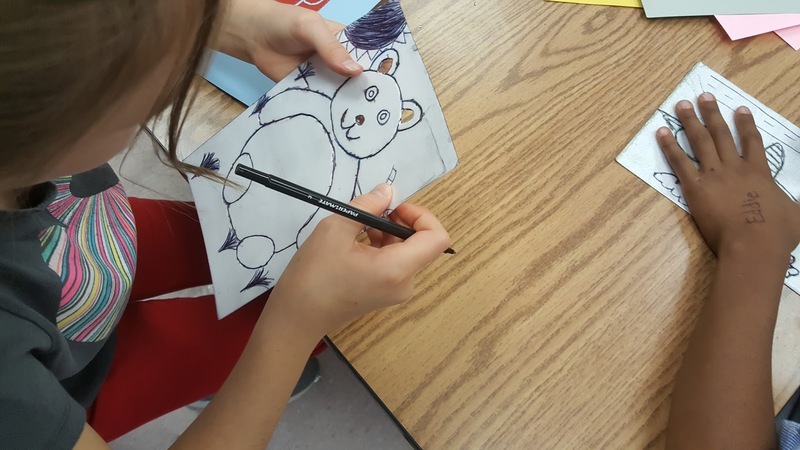 The last step was to use colored pencils to create a realistic habitat for their animal. 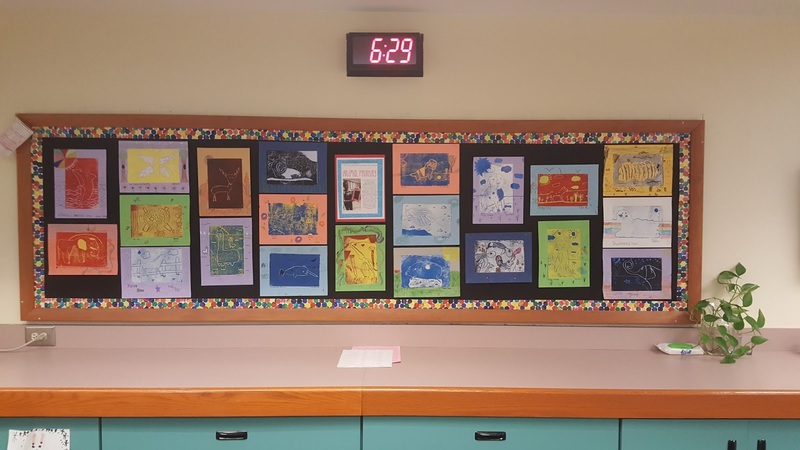 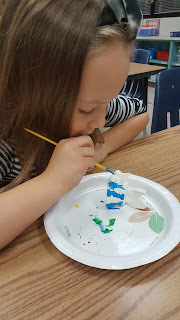 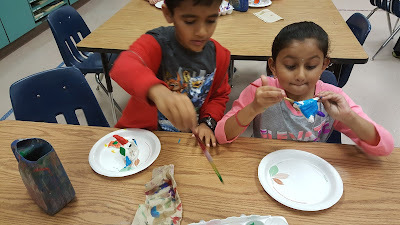 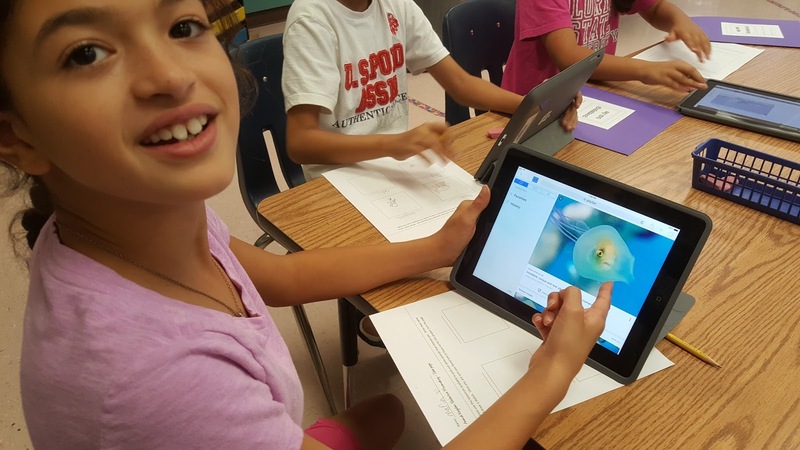 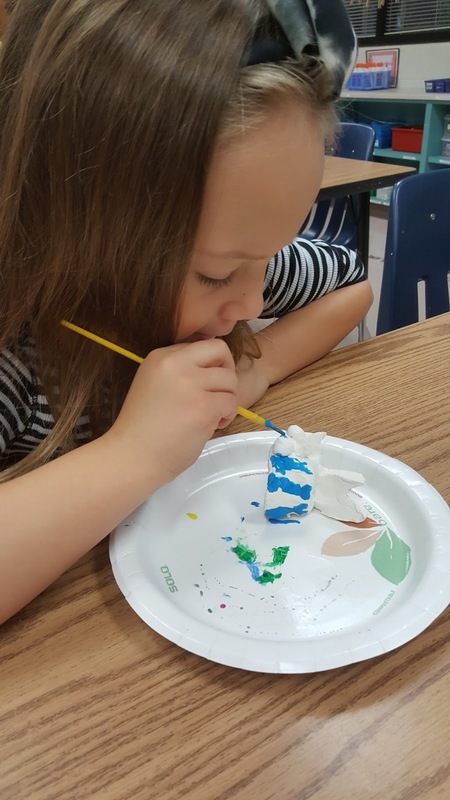 Combining science and art is a wonderful way to make a masterpiece!